Tara Olson, co-owner Primal Kitchen. 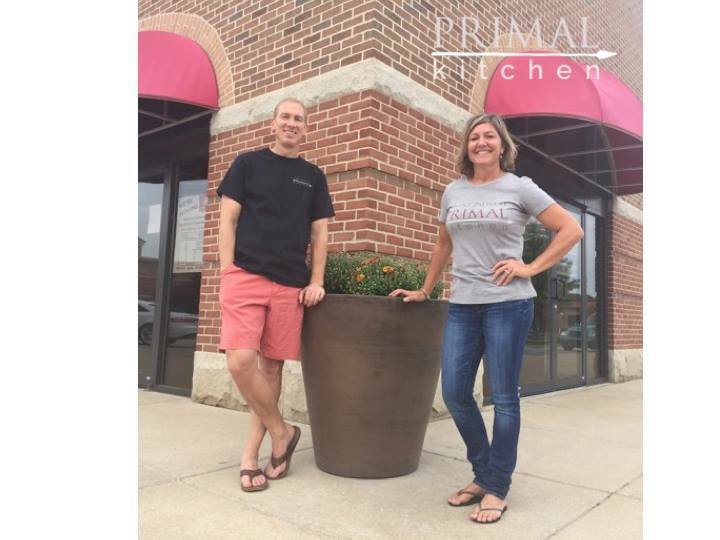 Primal Kitchen Restaurant owners Tom and Tara Olson. GRANGER, IN—Primal Kitchen is an option for people on the go who understand the value of healthy eating. Here, you can be anything you want to be—vegan, paleo, gluten-free, non-GMO, primal—you name it, as long as it is good for you. Butter? Sure. Cream for your coffee? You bet. As long as a 7-year-old can pronounce it, they’ll serve it. Owners Tara and Tom Olson refer to their new restaurant in Heritage Square, Granger, as a fast-casual concept, offering customers a dine-in or to-go option. The food they serve is also on a new level for the Michiana market. “We understand it is a specific market. We also believe that having a place like this may help people begin to see the value in that market and be willing to spend a little extra money because it is good for them,” Tara said. Shopping, cooking and eating primal is nothing new for the Olson family. When Tara ventured into CrossFit eight years ago, the prescribed diet came by default. 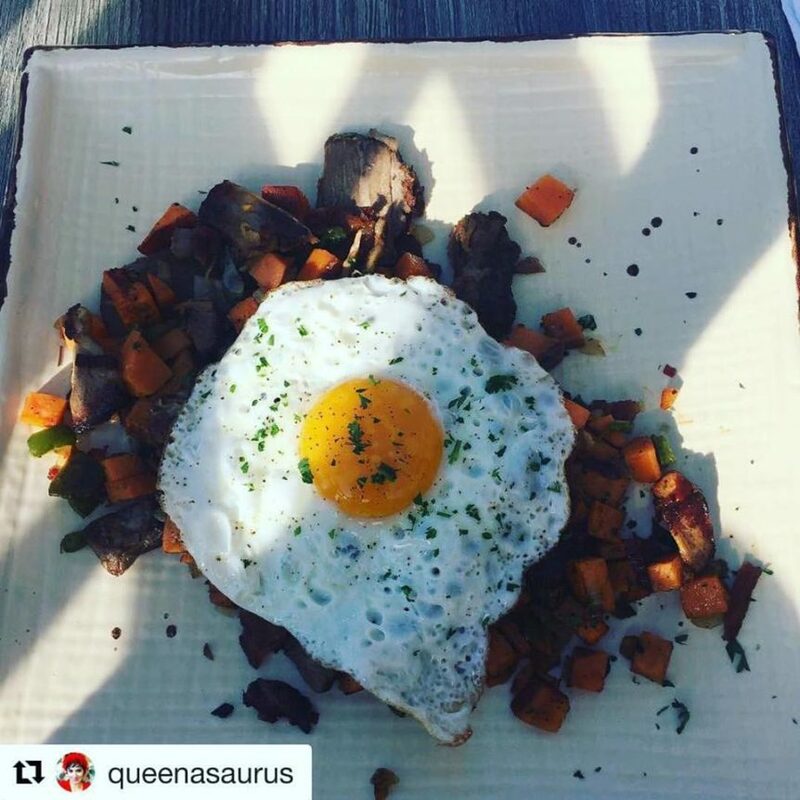 bicarbonate and 4-methylimidazole in their daily intake, Tara forged ahead, formally educating herself and then bringing on board her family, gym friends and eventually opening her own nutrition consulting business. Primarily, she followed the science of Robb Wolf, a former research biochemist and author of (bestselling) The Paleo Solution and Wired To Eat; and Mark Sisson, author of the Primal Blueprint, a book which is said to have brought the ancestral health movement into the mainstream with a nutrition and lifestyle program targeting health and fitness goals. Sisson is the developer of the Primal Kitchen franchise, having recently opened his flagship restaurant in Culver City, CA. People deserve this, she said. “This is good quality food they can grab on the go.” The Olsons buy as much locally as they can, having found non-GMO beef and pork from Seven Sons in Roanoke, IN, and poultry from Gunthorpe Farms in LaGrange, IN. In the meantime, just about a month after a soft opening, Tara and Tom, the cooking staff and most of all, the customers, continue to learn. Come with an open mind and be ready to explore, Tara encourages. “If you eat processed food, your pallet has been hijacked.” The new tastes at Primal Kitchen will be obstacles until people are used to truly clean eating. For example the grain-free, cashew butter and cassava flour paleo hamburger bun is different even from a gluten-free bun. In the store area, customers can find grab-and-go products that meet the standards of Primal Kitchen such as protein bars and jerky. Primal Kitchen brand foods like avocado oil, mayonnaise and salad dressings are also on hand.